Skin Tightening Toronto – Belkyra or Neck Surgery? Sagging skin on the neck happens for a variety of reasons. Reasons can include losing a significant amount of weight, genetics or just natural aging. Tightening skin and removing unwanted fat or fullness under the chin, can be addressed either surgically or non-surgically. A surgical neck lift with liposuction is a permanent surgical procedure that removes excess skin, fat, and tightens underlying muscles. A cosmetic surgeon will discuss different surgical approaches for a patient who wants to reshape a full chin, versus a patient who wants to eliminate a sagging “turkey neck. If the fat is removed and the elasticity of the skin is not good, then a neck lift is done in conjunction with the liposuction so that the excess skin can be removed. A surgical neck lift requires the patient to be under anesthesia, and surgery can take up to three hours. Patients will require three incision points, around the ears, behind the ears and under the chin. This surgical procedure will cause bruising and swelling and may take up to 3 months to resolve. A non-surgical improvement known as Belkyra is a non-surgical injectable treatment. Belkyra is the only Health Canada approved injection to specifically improve fullness found under the chin. Belkyra has proven to be an excellent injectable for reduction of submental fat, as it destroys fat cells. Belkyra’s active ingredient is deoxycholic acid, a naturally occurring molecule in the body that helps to break down and absorb dietary fat. After a Belkyra treatment, there is also an inflammatory response that occurs. This inflammation causes the area to swell for several days, and causes the skin in that area to tighten up. The amount of skin tightening can vary from patient to patient. Three to four treatments of Belkra are required for permanent results. The only option for lifting a large amount of loose skin and muscle is surgery, such as a neck or facelift, since Belkyra will not address severely lax skin or underlying muscles. To see if you are a candidate for Belkyra, visit Lasting Looks Clinic at www.lastinglooks.ca . Belkyra Toronto, Does It Dissolve Fat Permanently? Belkyra is formulated from deoxycholic acid, a synthesized man-made form of bile acid that your body makes to absorb fats produced by the body. When Deoxycholic acid is injected, it works by destroying fat cells. The effects of Belkyra are permanent since it ruptures the fat cell membrane, thus destroying fat cells under the chin. Those fat cells do not come back once they are destroyed. Just like liposuction, the results are permanent as long as a healthy weight is maintained. Although Belkyra does permanently eliminate fat cells after a series of treatments; if you gain weight, your body will produce additional fat cells. If too much weight is gained, a touchup treatment may be performed to regain results. To sustain optimum results, patients should maintain a healthy diet and exercise. 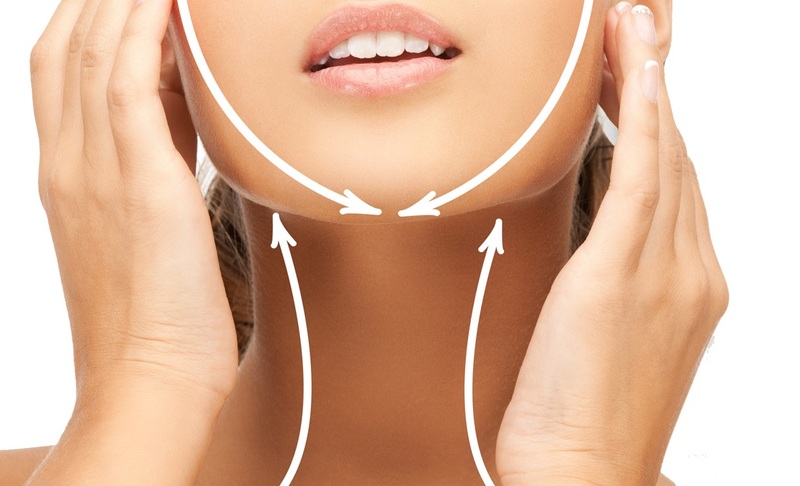 Often the fullness in the chin area will diminish after 2 to 3 treatments leaving a more contoured profile. A Belkyra treatment in the double chin area can take as little as five minutes. A Belkyra treatment consists of a series of injections that are placed in a pattern on the areas under the chin needing treatment. Unlike dermal fillers or Botox injections which must be repeated, Belkyra offers a permanent solution for submental fat (double chin). After reaching your desired aesthetic goal, further treatment is not expected. Belkyra is a prescription drug used to improve submental fat also known as “double chin”. So what exactly are the side effects of Belkyra? Common side effects include: swelling, bruising, pain, numbness, redness and hardness of areas in the treatment zone. More serious side effects of Belkyra treatments may include problems swallowing and nerve injury in the jaw that can cause an uneven smile or facial muscle weakness. One week prior to BELKYRA™ , it is suggested that one limit their alcohol intake as well as refrain from using anti-inflammatory medications. This is to avoid excessive bruising. Once Belkyra is administered, patients may experience mild to moderate swelling, bruising, numbness or pain in the treated area. After treatment ice packs may be applied to the area for 15 minutes at a time if needed. Some patients may want to schedule these treatments near the end of the week or on the weekend due to the downtime that is associated with this procedure. Generally swelling is the most common side effect that patients will experience. This will occur after the injection and can last up to three days or more. Bruising, some discomfort, itchiness, and redness usually accompanies the swelling. Numbness or tenderness, or a mixture of both under the chin, can last up to 2 months. A majority of patients require between 2-4 treatments with Belkyra. Studies have also shown that side effects are lessened during subsequent treatments. Having a double chin doesn’t mean you’re overweight or old. Although there are many causes for a double chin , the most common causes appear to be heredity, weight gain and the aging process. One non-surgical solution to eliminating a double chin is Belkyra. Belkyra is a non-surgical injectable treatment that is specifically formulated to improve fullness found under the chin caused by fat deposits. Belkyra is approved by Health Canada for use specifically in the chin area. Belkyra is injected into the fatty area under the chin which, helps to eliminate fat permanently. Belkyra is a quick in clinic treatment that usually takes about 30 minutes. Most patients will see results within 2-4 treatments. Another option to permanently reduce fat deposits under the chin, is surgical liposuction of the area. While liposuction is a popular procedure, it is still surgery. As with any surgical procedure when liposuction is performed under the chin, you need to have sedation and recovery time. With liposuction, there is usually some bruising and swelling, and a post-surgical chinstrap must be worn for at least 4-6 weeks. With Belkyra there is no sedation and no post-surgical down time. 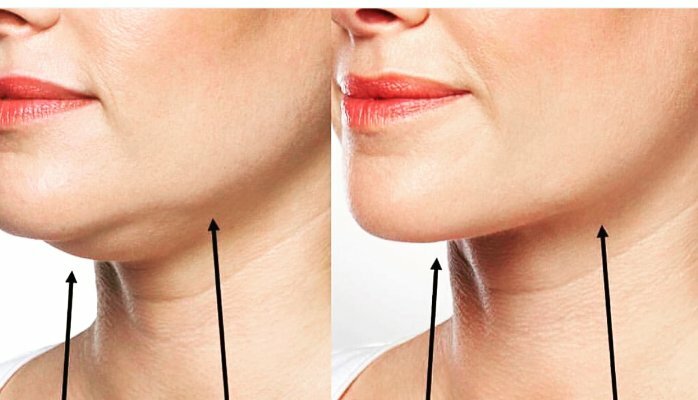 Some patients may feel some tenderness in the chin area as well as swelling after the treatment; however this usually subsides within a few days. Both treatments, whether you choose Belkyra or liposuction are both permanent removal methods of removing fat under the chin.